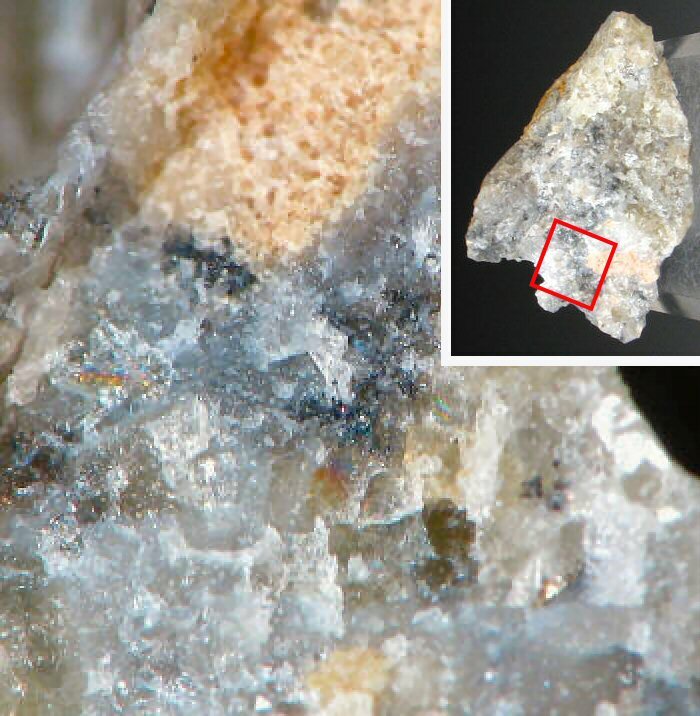 Comments: Silvery-gray grains of geffroyite to <0.5mm embedded in tan barite matrix. Location: Moctezuma mine, Moctezuma, Sonora, Mexcio. Scale: Overall: 3 x 2 x 2 cm.